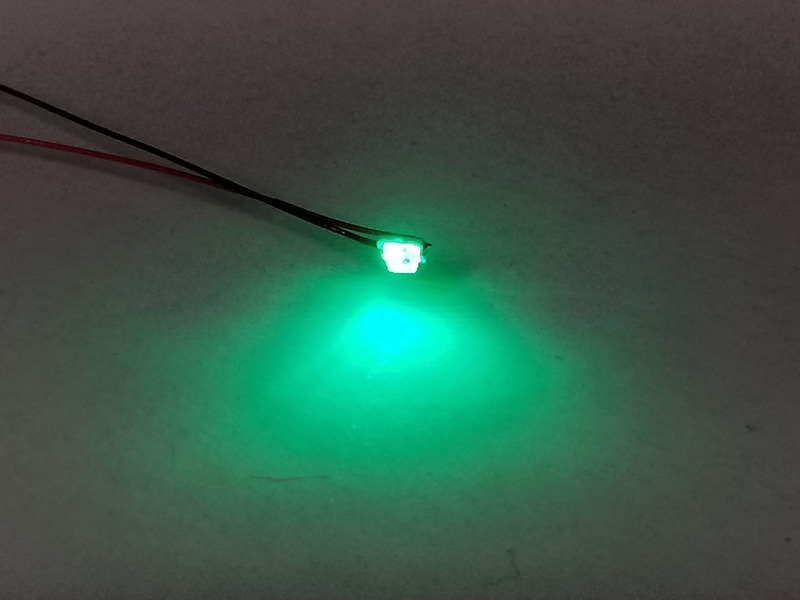 The new SMDs are provides a flickering effect just like a normal flickering 5 or 3mm LED, but in a much smaller formfactor. Great for use in tight locations on a model where a flickering effect is need, but where there isn't enough room for a normal LED. Our Pre-Wired SMDs (Surface Mount Device) are only 2mm x 1.25mm and comes with cables soldered onto the backside or sides allowing the wiring to lay flat in the same direction. Soldering SMDs is very difficult, but these pre-wired units take all the work out of it for the modeler. 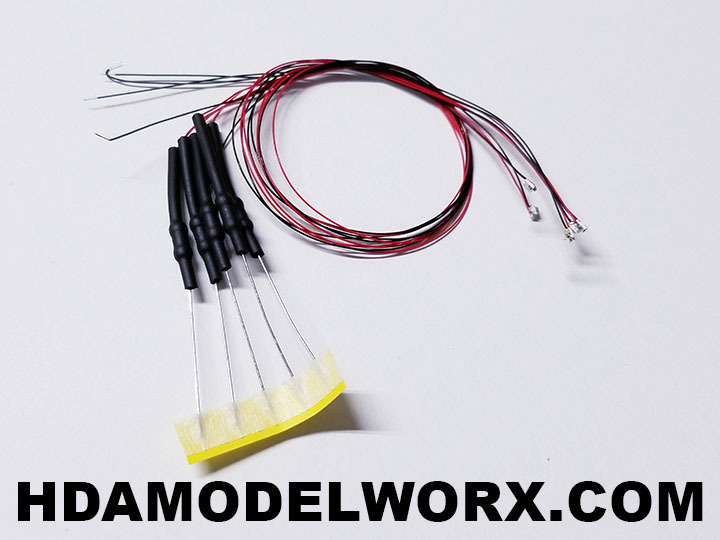 Each unit comes with its own inline resistor (1,000 Ohm) for 12v-18v operation. These units will also light up at 9v, but will be slightly dimmer.